^HWithout the aid of references, properly wear and maintain the MWTC sit harness, in accordance with the references. ^^Without the aid of references and given a diagram, name in writing the parts of a sit harness, in accordance with the references. 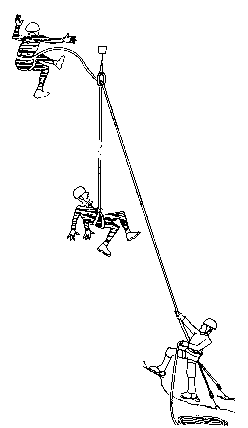 ^^Without the aid of references, wear a sit harness, in accordance with the references. METHOD/MEDIA. The material in this lesson will be presented by lecture and demonstration. You will practice what you have learned during upcoming field training exercises. Those of you with IRF's please fill them out at the conclusion of this period of instruction.